Would you believe me if I told you that one of the best shopping street in Paris is hidden just around the corner from the Eiffel Tower? Follow along with me, and I’ll share with you this little shopping secret in Paris’ 15th arrondissement, just across the beautiful Champ de Mars gardens from our favorite neighborhood in the 7th arrondissement. It’s called rue du Commerce, a very appropriate name for a wonderful shopping street. There are over one hundred boutiques packed into this lovely tree-lined street. It’s very much a shopper’s delight! The first time I walked along the rue du Commerce, I realized I’d stumbled across one of the best shopping street in Paris. Not only for the selection, which covers everything from one-of-a-kind boutiques to affordable fashions, but because I was shopping where the locals go. As I stepped out in the street to take a few photos, I relished the fact that I was the only person in sight with a camera. If you’re visiting Paris, it’s a short walk from many of our vacation rentals in the 7th arrondissement. Start at the top where Ave de la Motte Piquet meets rue du Commerce and plan on spending a leisurely morning or afternoon. It’s only five-minute walk our newest Paris short term rentals, which we’re excited to share with you. The Renoir and Monet Paris rentals boast show-stopping Eiffel Tower views and a perfect central location. They are close to Commerce, the renowned Grenelle open air market and near all the excellent restaurants in the 7th. Our college-age son needed some basics before going back to Boston last fall. He found the boat shoes he was looking for, nice polo shirts for a bargain price, cotton slacks in pale green and blue …. even underwear. Everything is just that little bit different from clothes in the U.S. where he goes to college and in the latest colors. Also, the shirts and slacks are more tailored and fitted compared to American clothes. 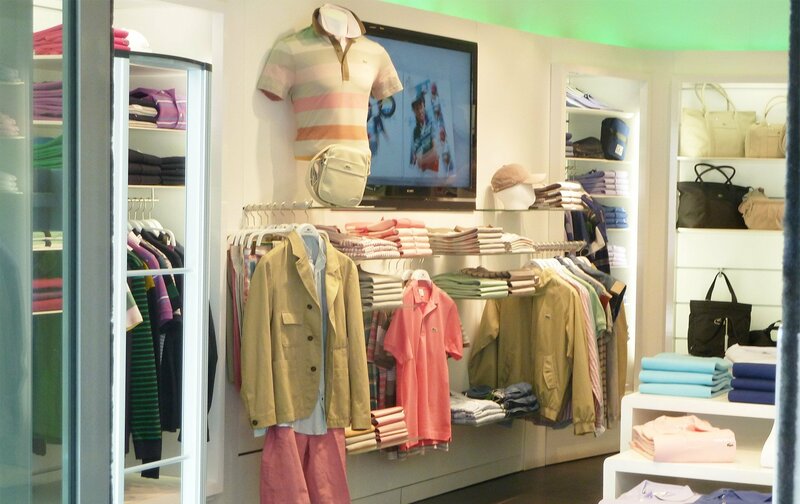 Men’s fashion on rue du Commerce in Paris – good prices with that touch of French style! 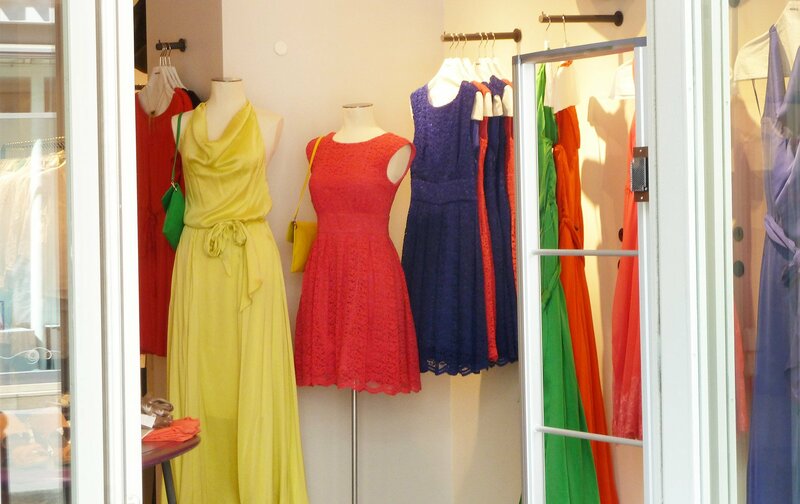 What we find so refreshing about rue du Commerce are the dozens of excellent fashion boutiques. There’s something for every age and taste – French fashion, even for middle-aged moms like me. 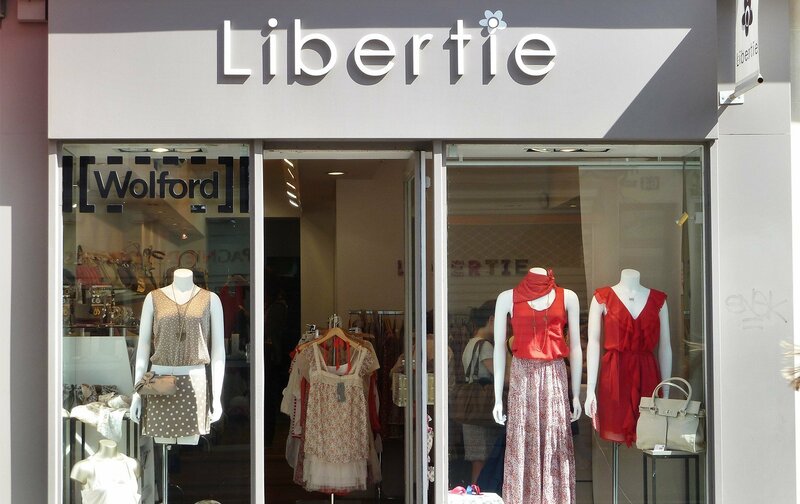 These stores sell the latest trends in fashion without the big expensive labels. You don’t find them in the expensive couture streets in Paris. Just like Reciproque, the best designer consignment store in the nearby 16th, this is where in-the-know Parisians shop. 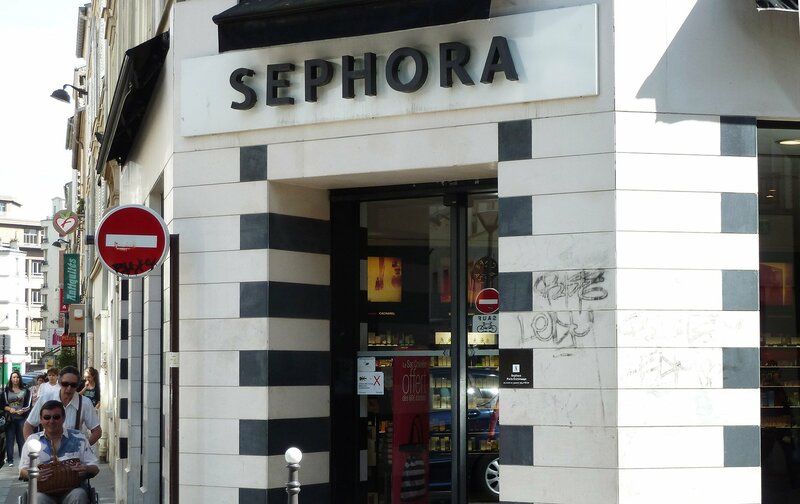 You’ll find everything from discount perfumeries to great cosmetic stores such as Sephora on the best shopping street in Paris. There’s every kind of store, including baby stores, shoe stores, young fashion, men’s, women’s fashion and high end designer stores. 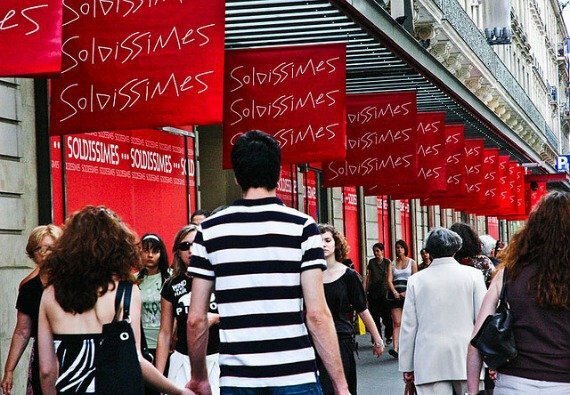 Young Parisians love to shop here and your teenagers will too. You won’t see tourists here, since rue du Commerce is the best shopping street in Paris for Parisians. 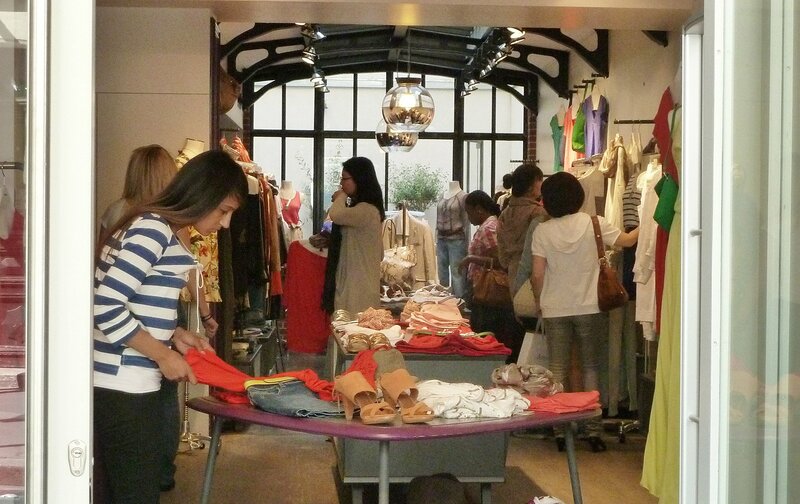 It is packed with every type of fashion boutique, café, pâtisserie, pharmacie and chocolatier a shopper could ever want. For our family, it’s the first stop when we’re looking for anything from shoes to affordable casual clothes to that special dress for the prom. With over 100 fashion shops tightly packed into a few city blocks, not only are prices good, but it’s great value for your time! Starting at the Eiffel Tower, walk along the Champ de Mars gardens toward the Ecole Militaire, cross the avenue de Suffren and head down the avenue de la Motte-Piquet. This spot marks the border of 7th arrondissement and the 15th. The charming neighborhood is where you’ll find our lovely Quincy one bedroom Paris vacation rental. 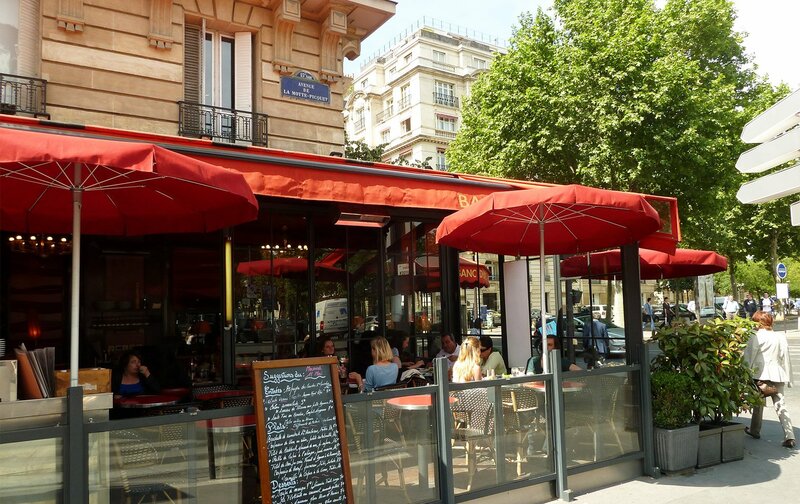 Wander along the dozens of cafés and restaurants on Ave. de la Motte Piquet, known by locals as one of the best café streets in Paris. It’s a perfect rest stop after an intense morning of shopping. 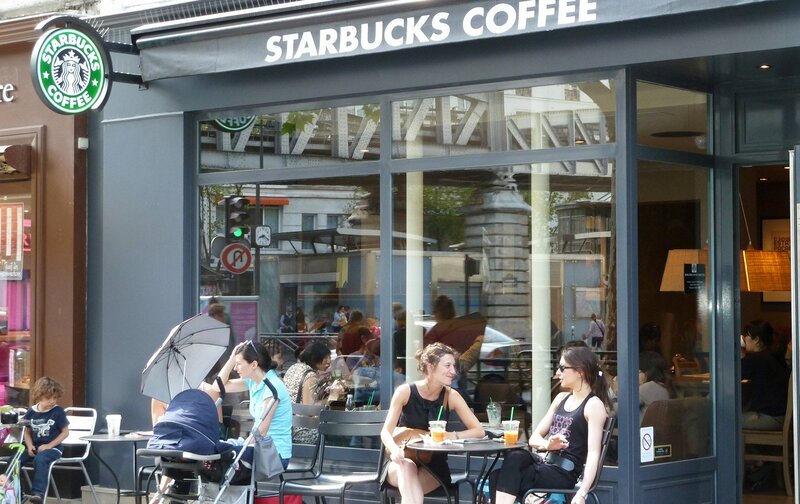 There are several excellent bistros and even a Starbucks if you crave a Frappuccino. Sometimes I can’t resist! There’s even a Starbucks in the neighborhood. 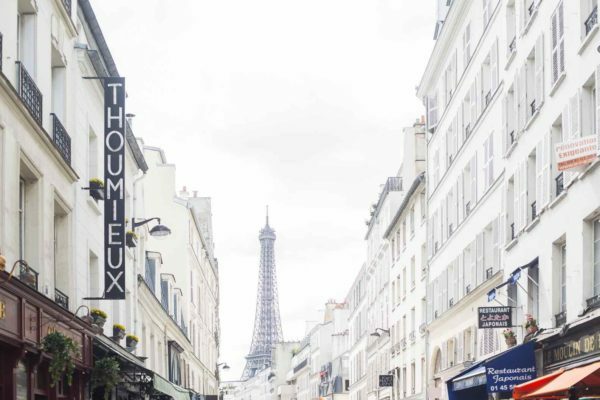 After your break, you’ll be ready for a day of shopping down rue du Commerce, the best shopping street in Paris! 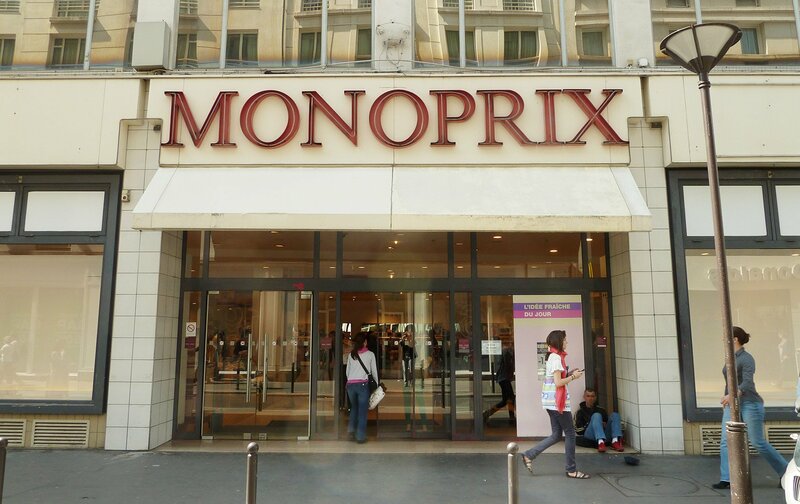 Stop in at the Monoprix (think the French version of Target) at the corner of Rue du Commerce and Boulevard de Grenelle, where you’ll find affordable fashions, household and beauty products on the first level and a huge grocery store on the second level. Monoprix is a fun spot to explore alongside the locals. 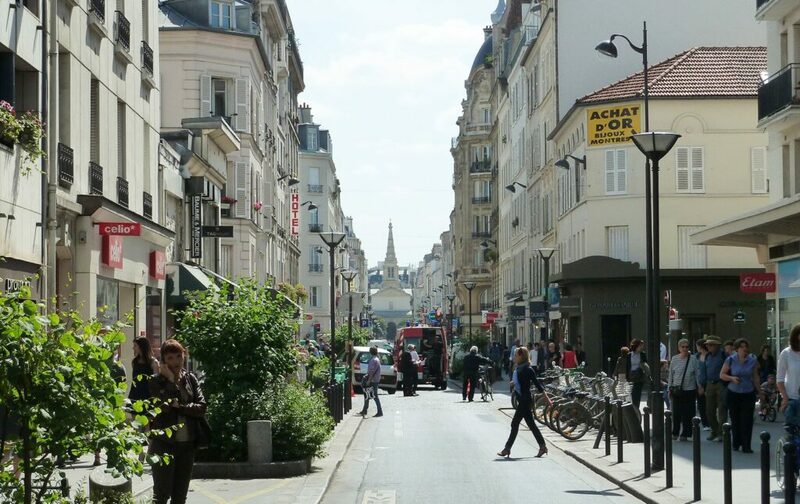 Stroll along Ave de la Motte-Piquet on your way to rue du Commerce. This pretty street has more outdoor cafés than any other street in Paris, and is a favorite spot for locals. 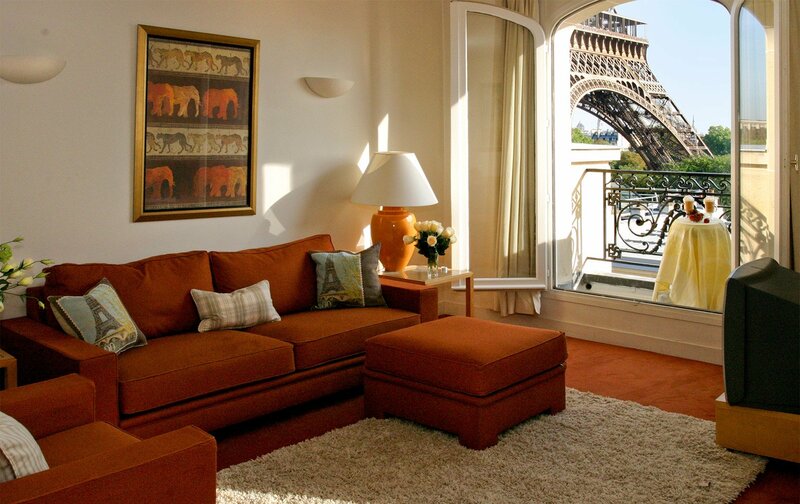 Guests who stay at our Monet luxury 4 bedroom Paris rental are in heaven. 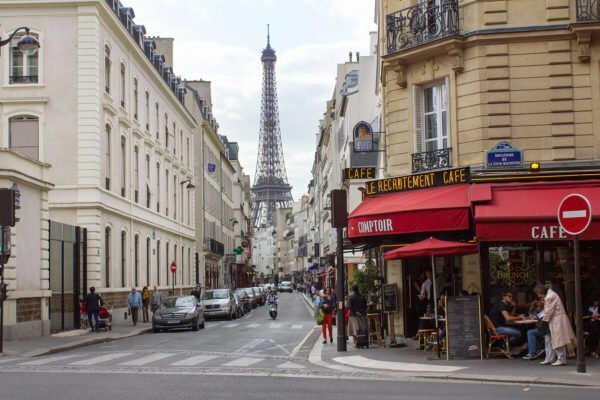 Not only do they enjoy stunning Eiffel Tower views, but they are just a short stroll from the wonderful cafés and the rue du Commerce shopping street. Rue du Commerce is a one-way street with large sidewalks on both sides that runs through a charming residential neighborhood. There’s even a pretty park where you can sit and relax halfway through. Filled with cafés, you’ll have many tempting choices to refuel before more shopping. 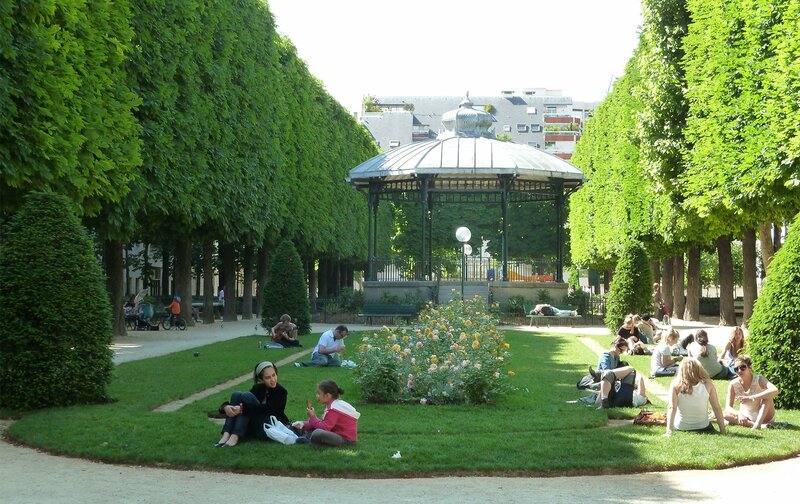 Bring a book and enjoy the simple pleasures of Paris life in this pretty little park in Paris. Since there isn’t a lot of traffic, we love that you can crisscross the street easily if you see a shop on the other side that catches your eye. You’ll spot some familiar names right away at H&M and Zara, and as you walk, you’ll find a wonderful mix of small boutiques and big names, such as Cyrillus, Comptoir des Cotonniers, Pimkie, MAC, Promod, Sephora, Celio, DPAM, Gerard Darell, Jules, Arthur & Fox and many more. Sephora makeup store is one of my favorites. Before heading back home, the aroma of freshly baked bread from the boulangerie Kayser on rue du Commerce always pulls me in. Tucking the still warm baguette into one of my shopping bags, I stroll along this very special street, relishing the feeling of having found where I fit in Paris. Almost home, I enjoy a taste of French life while watching children playing in the beautiful Champs de Mars. Finally, after a full day of shopping, I enjoy a relaxing evening and million dollar views of Paris from the most beautiful vacation rentals in Paris. NEXT: Our First Review for Our New Monet & Renoir Apartments! Posted on Friday, September 23rd, 2011 at 9:46 am in Shopping. You can follow any responses to this entry through the RSS 2.0 feed. You can leave a response, or trackback from your own site. Altho’ it is still quite some time before we come to Paris, your newsletters get me excited and enthusiastic about all the new [to me] places where I can shop and explore. The time until I get there will pass all too slowly. So close that I can’t believe I missed it on my last visit when I stayed at the Kir apartment! For sure, it will be at the top of my list on my return! Thank you so much for keeping me “in the loop” with your newsletters which I always look forward to. I would like to go to this street. Thanks so much! We update several times a week with ideas and information about Paris, cooking, and tips! looking at La Rue De Commerce reminds of my lovely stay in Paris July 2012. The hotel where I stayed was just a 5 minute walk from the lovely shopping. I bought lots but many at reasonably prices! my husband was pleased also – bank a/c stayed intact! I will be there in September and am taking notes. Thanks for all your info. Can’t wait to visit. Thanks for this wonderful information. On average what time do the stores open on Rue du Commerce? Around 10:00 am Monday through Saturday. Sunday would be after lunch.